Wyburn: Currently sat writing this with the worlds biggest hangover from 4 days of my birthday celebrations… Whatever happened to subtlety ey? Wayne: One thing we aren’t Nath is subtle! Happy 27th! Woo! We’d like to thank Mary’s for being very generous and letting us all celebrate there in style! What a month though Nath… Huge congratulations to everyone who ran the Cardiff Half Marathon! I was with the Face 11 guys cheering them all on and you were amongst the madness in town! Wyburn: Yep, cheering on my father who’s goal it was to complete the race by the time he’s 50 next year, and complete it he did in just under 2 hours! So incredibly proud of him. 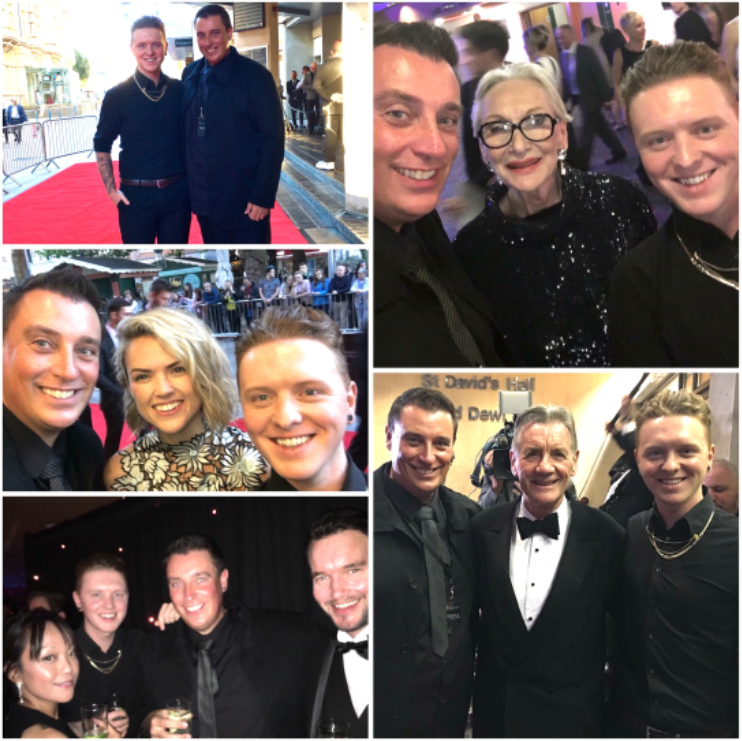 Another big event on the Cardiff calendar happened last month, the BAFTA Cymru awards at St David’s Hall, I love all the glitz and red carpet stuff! Wayne: Me too! We got to interview and chat with all the stars including the iconic Michael Palin, Dame Sian Phillips, Erin Richards and the Torchwood guys! Well done to all the winners and well done to us for drinking the free Gin bar dry!! Seaweed Gin, who knew that was a thing? Wyburn: I certainly knew it was by the end of the night haha! I love Gotham so meeting Erin was amazing for me! Another amazing person we met this month was Tim Peake! He started his UK tour off at our very own Techniquest, and I thanked him by presenting a special artwork made from Space inspired chocolates! What a genuine guy too, down to earth… Get it? Wayne: Stick to the art Nath.. Haha! He was great! We also have to congratulate everyone at the Iris film festival who did another outstanding job, wonderful to bump into BGT winner George Sampson too! Speaking of winners.. The Winner takes it all, Mamma Mia at The Millennium Centre… Wow, just wow! I smiled for days after that! Outstanding cast and one of the best musicals I’ve seen! Not to forget the spell binding Little Shop Of Horrors at The New Theatre too – I can’t put into words how great that was, brilliant to interview Rhydian Roberts ahead of it too! 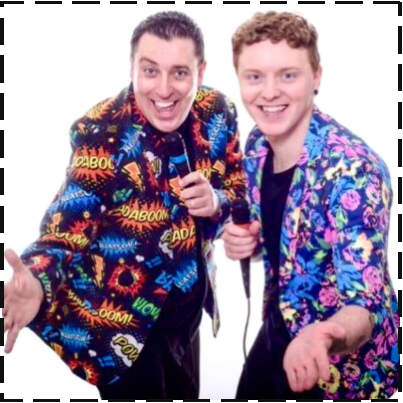 Wyburn: We’ve had some fab interviews this month mind, Rebecca Furguson & Mick Hucknell of Simply Red are both super excited to be touring back in Cardiff soon – must see shows! 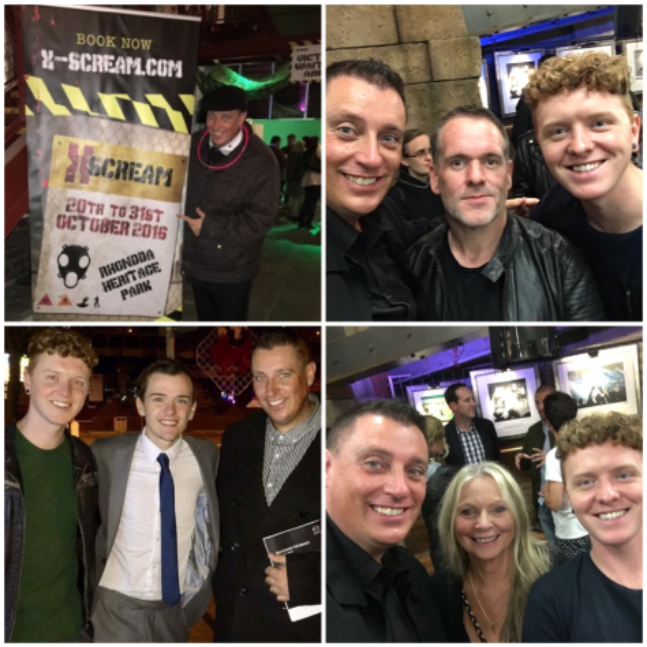 We headed down to London for a few events too this month, the launch of the Red Hot 2 book that I’m part of was great fun! Nice to catch up with everyone involved too, creators Elliot Frieze and Thomas Knights have done a wonderful ginger-tastic job and all in aid of the Diana Award charity too! Wayne: Gingers are great! Omg and Mel C’s intimate album launch event.. Say what you like but that Spice Girl can sing! Had a lovely chat with her mum too, and her buddy Chris Moyles helped compere the event! I do love London and we always make the most of it don’t we? Wyburn: We do indeed haha. Two new brilliant food venues have opened up in Cathays, both Amesouer & Jalan Malasian were fantastic! We highly recommend them! Also Wayne, how much did you love the X Scream event in the Rhondda? Wayne: It was terrific, being chased around old mines by zombie actors isn’t something I should be doing at 41 but I loved it haha! A must do at Halloween time without a doubt! And we can’t not mention the wonderful charity ball at The Hilton Cardiff in aid of Noah’s Ark & DM Thomas Foundation For Young People – the lovely Sophie Evans sang us over the rainbow and back and the food (and wine) was beautiful! Wyburn: Such great causes, the highlight of the month for me was Katherine Jenkins personally signing and then purchasing my gold glitter art at the ball – she was so lovely and gave me some lush compliments – all proceeds went to the charity too, what a beautiful woman! Wayne: Proud isn’t the word Wybs.. Before we introduce our wonderful Cardiffian I’d like to thank Gary (aka Pixie Perez) for inviting us to host the Drag Queen Bake Off in WOW bar too – brilliant fun and just as predicted the cake got thrown everywhere!! And that’s us for now, until next month guys.. Over and out! 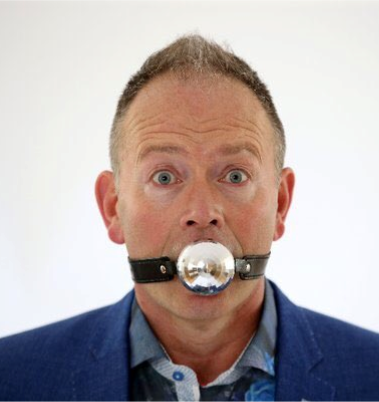 Occupation: Entertainer, Entrepreneur, owner of Mr Producer ltd – ex Brookside & Les Mis. Fave bar in Cardiff: The Dead Canary. Fave place to eat in Cardiff: Calabrisella, Canton. Cardiff in 3 words: Clean, Cool & Tidy. Fave Cardiffian: Dave, my partner.